The heat shield is designed to protect the Mars 2020 mission in the initial stages of its descent and landing. 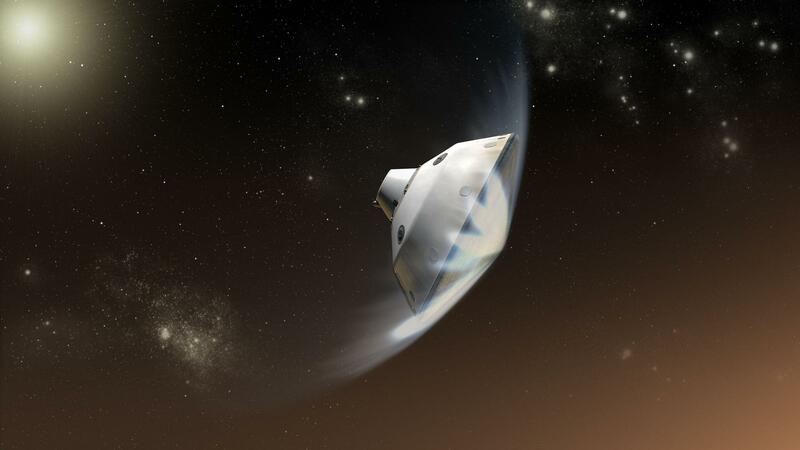 "The test was designed to subject the heat shield to forces up to 20 percent greater than those expected during entry into the Martian atmosphere," NASA said in a statement. The crack was "unexpected" according to the release, and engineers will have to build a new shield for the mission. Mars 2020 is intended to send a six-wheeled rover that will look for potential signs for life on the red planet. And it will demonstrate the initial steps needed for a future Mars mission that will return samples to Earth. The heat shield is a curved structure made mostly out of a lightweight material known as phenolic-impregnated carbon ablator. PICA is as light as balsa wood but can withstand temperatures of nearly 4,000 degrees Fahrenheit as the spacecraft comes screaming into the Martian atmosphere. The same material is used on SpaceX's Dragon Capsule, to resupply the International Space Station. Engineers at NASA's Jet Propulsion Laboratory are working with Lockheed Martin, the contractor that built the heat shield, to figure out why the shield cracked. The findings could lead to changes in the design of the replacement shield that NASA has asked Lockheed to build. The broken shield is the second setback for a major NASA mission in recent months. In March, NASA announced that its next major space telescope, known as the James Webb Space Telescope, will be delayed because of a problem with a foil shield designed to protect it from the sun's rays. That pushed the launch back by roughly a year and means the telescope will exceed its $8 billion price tag. A NASA spokesman says the agency doesn't have an estimate of how much it will cost to replace the Mars mission's heat shield. The agency says it is confident, however, that the replacement will be ready in time for Mars 2020's intended launch date in July of that year.